The FX market, or foreign exchange market, exists because of the need to change one currency into another. This need has existed for well over two millennia, but the FX market of today is immense compared to what it was just one hundred years ago. FX investors and speculators come to the FX market with the hopes of making a profit on the currency trade by exploiting the ever changing value of the various currencies in relation to each other. A simple transaction where one currency is exchanged for another is called a foreign exchange spot (FX spot). Today, several other financial instruments have been created based on the FX market, but the FX spot is still the most common FX transaction. In 2013, the daily turnover for FX spots was the equivalent of almost 2 trillion USD! Examples of important financial instruments for the FX market are the FX Option, the FX Forward, the FX Future, and the FX Swap. A Foreign Exchange Certificate (FEC) gives the bearer the right, but not the obligation, to convert one currency into another for a predetermined exchange rate, and is thus rather similar to an FX Option. Before widespread access to internet connections, FX speculation was chiefly something carried out by large institutional players and major finance companies. Sure, an individual could go down to his local currency exchange kiosk and buy some Swiss Franc, hoping that they would appreciate against the USD, but that was about it. Today, the situation is very different due to the rich assortment of FX trading platforms available online. You don’t have to be a big fish to sign-up with one of these platforms, and FX speculation has become a popular hobby. Some FX brokers have trading platforms that open directly in your web browser while others have platforms that come in the form of a client that you download and install on your computer. There are also mobile apps available for mobile phones and tablets. At the FX market, currencies are traded in the form of currency pairs. The currencies are referred to using the three letter currency code from the ISO 4217 standard. The number that you see after the currency pair is the exchange rate. 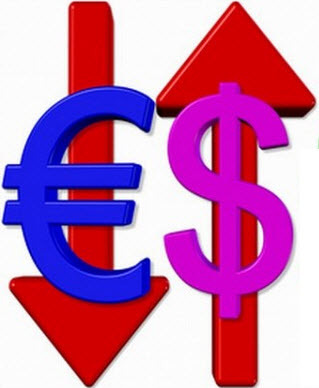 EUR/USD 1.0884 means that the price of 1 Euro is 1.0884 United States Dollar. GBP/USD 1.3929 means that the price of 1 British Pound Sterling is 1.3929 United States Dollar. USD/CHF 0.9977 means that the price of 1 United States Dollar is 0.9977 Swiss Franc. Many FX trading platforms online offers leveraged FX trading. Leveraged FX trading means that you (the trader) is utilizing a line of credit given to you by the trading platform. You are borrowing money from the broker to carry out your transaction. Leveraged FX trading makes it possible for you to carry out transactions that are much larger than the amount of money that you have in your trading account. Of course, this also means that you can lose more money than what you have in your account, and you can end up owing your broker money. Some brokers are very willing to extend large credits to their clients. With a mere €100 in your account, you can be offered a €10,000 credit, or even more. Just as with the stock market, you can engage in both short-term speculation and long-term investing on the FX market. Swing trading is a popular form av extremely short-term trading on the FX market, where traders try to utilize rapid swings in the currency price to make a profit. Long-term FX investors will typically pay less attention to short-term swings and are more interested in analyzing underlying factors, such as the political situation in a country or currency zone, and how the economy of that country or zone is believed to develop in relation to other currency issuing countries/zones. Long-term investors try to spot long-term trends and profit from them. 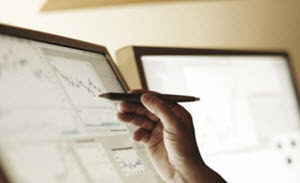 Many FX brokers encourage short-term speculation since they adhere to a business model where they make money on each transaction carried out by a client. Therefore, it is more beneficial for the broker to have a client that makes a lot of transactions than a client that only makes a currency purchase once in a while.